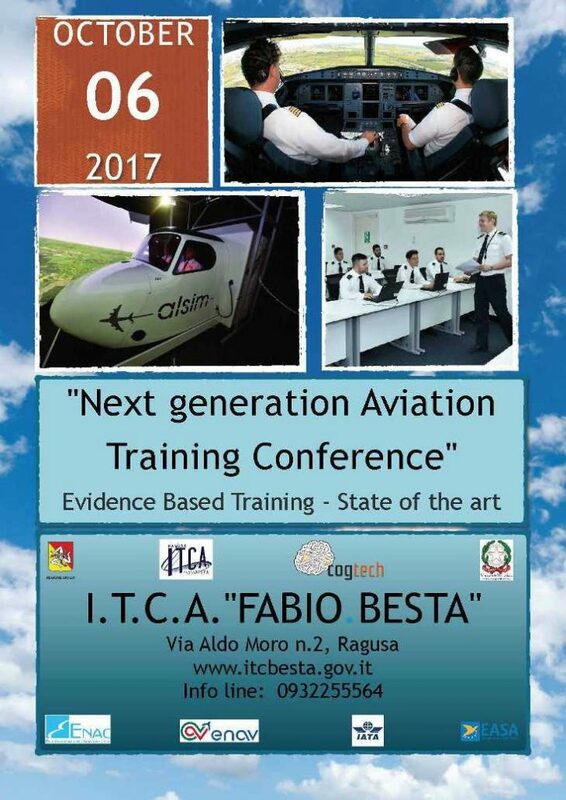 Cognitive Aviation Training, in cooperation with ITCA F. Besta is organizing an International conference on Aviation Training methodology, to be held in Ragusa, October the 6th 2017. Our target in aviation training is a structural improvement of flight safety by putting people and their cognitive processes at the very centre of our research and training services. With this in mind we host the 2nd Conference dedicated to innovation and competences development of Teachers and Aviation Trainers.